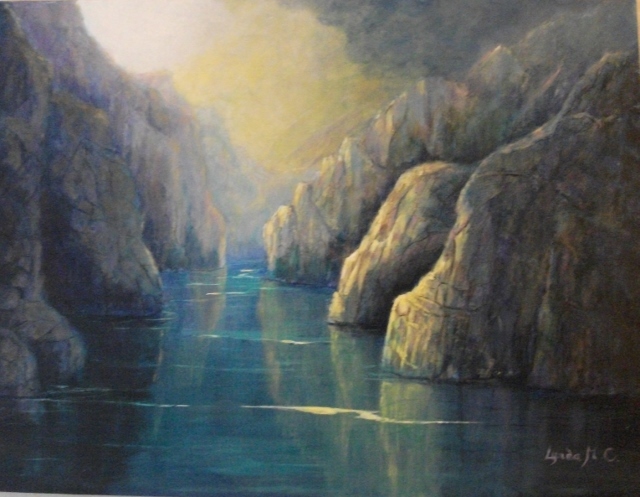 The mysterious cannyons of xanadu as described by Samuel Taylor Colleridge, " Where Alph the sacred river ran, throught caverns measureless to man" I have let my imagination run wild to paint a setting for such a river. Painted in acrylic on canvas, side painted and ready to hang, sold unframed, but can easily be framed if you prefer, to your own taste. Shipping free to the U.K.